Umgeni Steam Railway is a non-profit organisation run by volunteers. The organisation is dedicated to preserving the heritage of railways in South Africa. Umgeni Steam Railway is associated with the Railway Society of South Africa - Natal (RSSA-Natal). Together the volunteers run trains from Kloof to Inchanga at least once a month, and are the custodians of rolling stock, books and documents representing the different eras of railways in South Africa. The volunteers run, maintain and operate the trains, the library and the museum. Volunteers are always welcome to join. There are no qualifications required to join USR/RSSA, all you need is a passion for railways and history. Current members consist of young, old, male and females. Umgeni Steam Railway was formed by RSSA-Natal in 1982 at the Umgeni Power Station in New Germany. Since then USR had to move to Pinetown, and has since moved to a permanent home in Inchanga. The organisation is run entirely by volunteers and is self-funding, relying almost exclusively on revenue generated from running public and charter trains to continue operating and preserving our railway history. Over the years Umgeni Steam Railway has managed to collect a sizeable array of historically significant rolling stock and other items, including approximately 10 locomotives; 50 coaches and a variety of goods wagons. Unfortunately due to ongoing financial constraints many of these irreplaceable items remain in storage awaiting preservation. 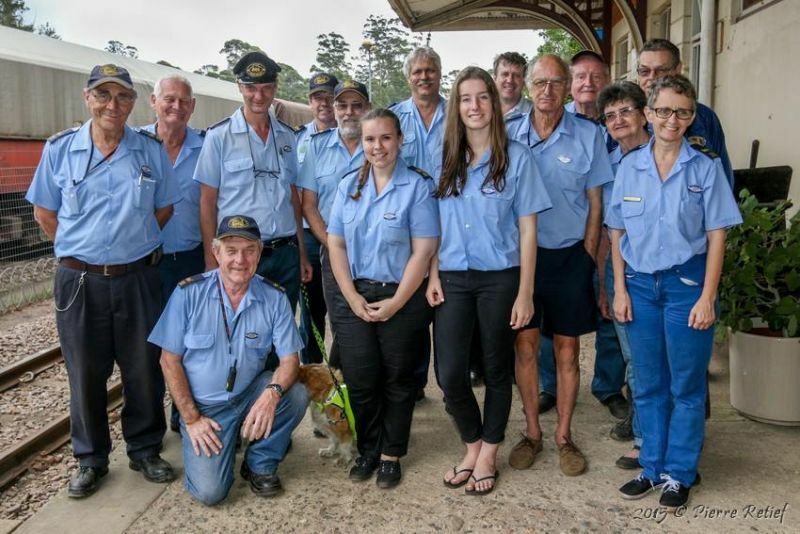 Trains run through the picturesque Valley of a Thousand Hills between Kloof and Inchanga on the last Sunday of each month, with additional trains during school holidays and for special events, such as Christmas Holiday trains in December. At Inchanga the local Conservancy hosts the Inchanga Community Craft Market whenever the Inchanga Choo Choo runs. The Inchanga Choo Choo runs on the last Sunday of each month unless otherwise stated on the Schedule. Additional runs are planned during special holiday periods like Chistmas and Easter. The "Pace-The-Train" events take place on the last Sunday in September in honour of heritage transport for "Heritage Month". Normal running days normally include a "Morning Train" and an "Afternoon Train". Morning trips are 3hr excursions while afternoon trains are 3½hr excursions. All trains stop at Inchanga, the morning and evening trains except for "Carols-by-Candlelight" trains, stop for 1hr. The afternoon trains stop at Inchanga for 1½hrs. On train days only, the Inchanga Conservancy organise a "Craft Market" with food stalls included. They also organise the picnic area to sit and relax. While at Inchanga, you can also buy beverages in the station building, and can visit the Museum in the Station Master's House next to the station. Just ask someone in uniform for directions to the Museum.